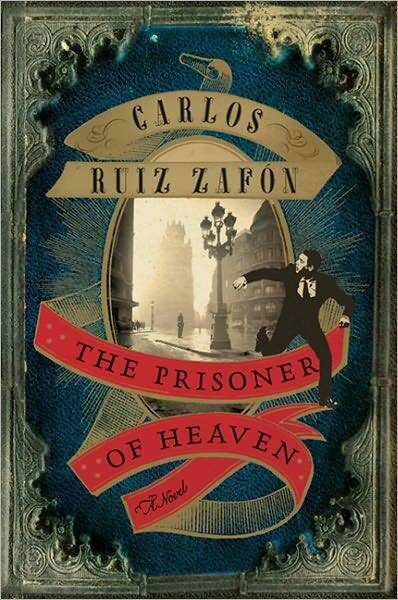 Carlos Ruiz Zafón fans, today is your lucky day! 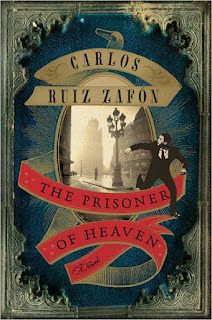 I ended up with two hardcover copies of The Prisoner of Heaven so I'm giving one away. I read this book last week and loved it (Daniel and Fermín are back!) and hope you will too. This giveaway is open to US residents only due to shipping costs. I will choose a winner on or around Sunday, August 12th. All you have to do is leave a comment below (with your email address if it's not in your profile or on your blog) and let us know which of CRZ's books you've read so far! I have not read any of CRZ's books yet but I looked up this book and read a little about it and I would love to read it! Would I have to have read The Angel's Game in order for this to make sense? Cause I've only read Shadow of the Wind so far (but I really loved it). Ditto what Heather said above! I want this so badly and was so depressed to be one of the bloggers left out of the whole "get a free copy!" push. I had never heard of him until this week! I would love to read this book. I had read a review of Shadow of the Wind and was intrigued! I've never read any of this author's books, but this one looks good. I haven't read CRZ's books yet but he's on my To Read list!! Love, love, love CRZ!!! Though the only book that I have read is The Shadow of the Wind, but it is one of my all-time favorite books. I also think I have another one my TBR!